Mohammad Amin Wahidi Director of Deedenow Cinema and Mohammad Mehdi Zafari a member of Deedenow Cinema, two young Afghan filmmakers are accepted to participate from Afghanistan for the program EIUC Summer School on Cinema and Human Rights which is held from August 23 to Sep 12 2007 in Venice Italy. He has quitted appearing on ATN because of some security reasons after there were some serious threats against the journalists and media activists in Afghanistan when his best friend Jamshed Matin a VJ in ATN fled the country because of some threats to his life, but Amin Wahidi is still busy with radio and television programs indirectly while doing his research on cinema especially Afghan Cinema. 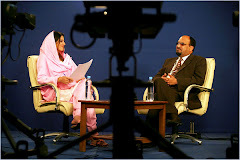 After quitted appearing on ATN screen, Amin Wahidi started to work with Farda Radio for a short time as writer but working with a radio did not satisfy him then he started to write film critics for Noorin TV a new Established TV broadcasts from Kabul Afghanistan for a few days but it still was not satisfying him then he started to write critics on television shows and films for himself on his bloggers and established a filmmaking production as a result of his efforts Deedenow Cinema Filmmaking Production ®Afghanistan is born at the end of 1383 and beginning of 1384 receiving licenses from Ministry of Information and Culture of Afghanistan and Afghanistan Investment Support Agency. Mohammad Amin Wahidi goes to night shift Cinema and Theatre Department of Fine Arts Faculty- Kabul University and does personal researches on cinema and television. For the moment he is the head of International Relations and a member of board of directors of Academy of Art and Cinematic Education in Kabul while he owns his private filmmaking production called Deedenow Cinema Filmmaking Production ® Afghanistan that acts as The Center for International Coordination of young Afghan Filmmakers” in Kabul Afghanistan. Since 2003 it is almost four years that he is working with Film productions such as Kabul Film, Arman Film, Bamyan Film, Foundation for young Afghan Filmmakers, Razi Film House and Academy of Art and Cinematic Education in Kabul and mostly he has been writing screenplays and sketching preproduction story boards for their films. 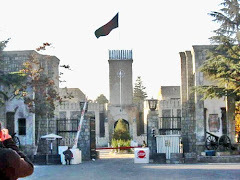 Mohammad Amin Wahidi has recently directed his first short fiction titled “Treasure in the ruins” in Kabul and wishes to take it to different international film festivals of the world as a souvenir from his country Afghanistan. The film is about a little Afghan curious girl who decides to live in her imaginations rather than her real life. Homa is a seven years old Afghan girl who looks for treasures in the ruins of Kabul but faces with items which are symbols of war and …..
Having a big ambition, Mohammad Amin Wahidi plans to produce more Afghan films in Afghanistan to depict and introduce Afghans and Afghanistan to the world with a different vision through lenses of cinema. 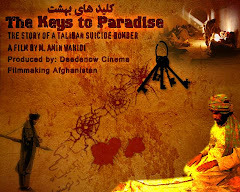 He has two other films to shoot the soon he finds investors for; one is “The keys to paradise” about 24 hours of life of an Afghan Mullah Suicide bomber who at the end does not want suicide himself for some reasons and the other one is “The great desire” about a young shepherded who desires to go to school but can not. This was only one side of Mohammad Amin Wahidi’s profile, while he has been working most of his official time as English Instructor, English Translator/ interpreter, Director of an Educational Institution, administrative assistant and School principal assistant. Since 2002 when he returned back to his home from Pakistan, along side working and cooperating with filmmaking organizations and productions he has been employed in different civilian and military organizations in the mentioned positions. Having the membership of Filmmakers Union of Afghanistan in addition to his different responsibilities, currently he is working as an English Translator in the position of program office in NDI (National Democratic Institute) a non profit organization working with the parliament and provincial councils of Afghanistan to expand and strengthen Democracy in this country. Mohammad Amin Wahidi is getting prepared for The EIUC Summer School on Cinema and Human Rights in Venice Italy to have a nice presentation about Cinema and Human Rights situation in Afghanistan and wishes that his short film “Treasure in the ruins” would have a humanitarian message for the participants of this program. He is documentary filmmaker, a camera man in Center for Contemporary Arts of Afghanistan, student in department of directing cinema and theatre in Fine Arts faculty of Kabul University. Recently Mehdi Zafari’s heart was beating for a few days until the result of 2nd International Documentary and Short Fiction Film Festival of Kabul was announced. He had a 15 minutes documentary called “Leema” which depicts the family of a blind Afghan man who live in Kabul Afghanistan. Mehdi was expecting may be an award though, but he only received an appreciation letter. His first work experience was in 2003 in Kabul, as assistant director for a number of Afghan Directors, for instance Razi Mohebi. In 2004 he joined the center for contemporary arts of Afghanistan (CCAA) and earned its membership. 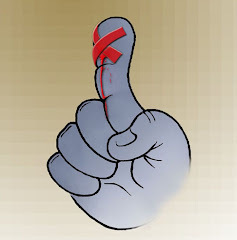 He got experiences while cooperating with this center to make number of short films (video art). 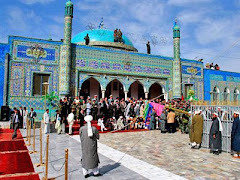 Participated in a workshop conducted by Mohsen Makhmalbaf for Afghan filmmakers for a month in Kabul in the year 2006. Participated in “Asb-e-do Paw” (The Two Legged Horse) a film by Samira Makhmalbaf and written by Mohsen Makhmalbaf filmed in Afghanistan 2007) as assistant director which is in post production now. Using the power of cinema and making films for the reconstruction of the destroyed culture in Afghanistan.